Business or pleasure…? 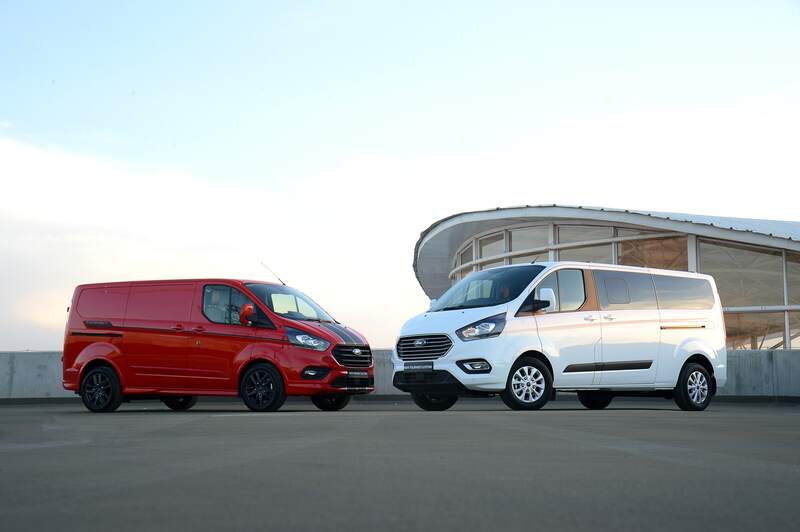 the updated Ford Transit Custom has been geared up to deliver on both occasions in style and with less effort. 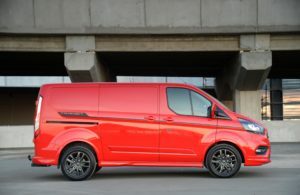 Available exclusively in short wheelbase high-performance Panel Van configuration, the updated Transit Custom’s exterior styling gains a re-designed Sport’s signature twin bonnet stripes and exterior body with a lower front skirt for the front bumper with unique fog light bezels, body-colour side skirts, rear bumper skirts and muscular wheel arch extensions. Summing up the new ‘swag’ are a set of 18inch alloy wheels with low-profile 235/50 R18 tyres. The sporty theme extends inside, slotting partial leather interior trim that combines new embossed fabric inserts with leather bolsters. 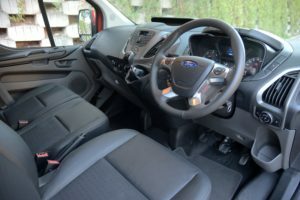 New seats with foam padding allow for added comfort, with multiple stowage compartments also adding to the practical nature of the Transit Custom Van. 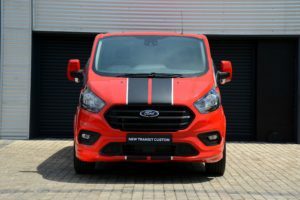 Five models of the Transit Custom are available in Mzansi, which include three Panel Vans and two Kombi Vans. All models are underpinned by the same 2.2litre Duratorq TDCi 4-cylinder turbodiesel unit offered in 3 states of tune. The Panel Van line-up gains a 74kW/310Nm and a 92kW/350Nm configurations for the long-wheelbase Ambiente models, with the range topping short wheelbase Sport model powered by the 114kW/385Nm version. Two models are on offer on the Kombi van range, these include the Ambiente long wheelbase derivative and the higher-spec Trend short wheelbase variant. Both employ the 92kW/350Nm Duratorq TDCi engine, with a 6-speed manual transmission common to all models. All models come standard with Ford Protect, comprising a 4yr/120 000km comprehensive warranty, 3yr/unlimited distance roadside assistance and 5yr/unlimited km corrosion warranty. A 6yr/90 000km service plan is included, with 15 000km service intervals.